I'm sure it hasn't escaped anyone's notice that Christmas is just around the corner. To help you get organised this year, my lovely sister-in-law Louise is giving away a Phoenix Christmas stationary pack to three Craving Fresh readers. 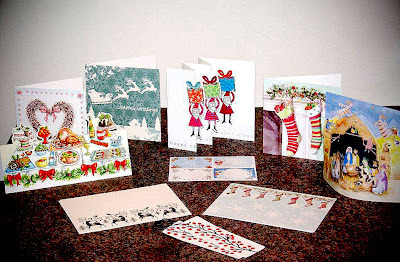 Each pack is valued at NZ$20.85 and contains 2 x 3D pop-out cards (2 different designs), 2 x gift tags, 1 x sheet label stickers, 4 x postcards (2 different designs) and 8 x Christmas cards (4 different designs). Louise started as an Independent Phoenix Trader two years ago after a friend sent her some Phoenix greeting cards. She loved them so much, she decided this would be a product she could happily share with others. (Those cards sat on her kitchen shelf for a year, they were so lovely). Louise has found being an Independent Phoenix Trader a great way to earn money with lots of support from Phoenix, but without any pressure. As a full-time mother to six children, she doesn't have a lot of time to get out and promote her business or do markets, but can easily take a basket of cards to playgroup, preschool or school and show her friends or leave for mums and teachers to browse and purchase from. Having the entire Phoenix range online for customers to view and purchase is another easy way Louise is able to fit selling cards around family-life. She's found that many of her customers stock up on 10 or 20 greeting cards at a time, planning ahead for birthdays and other events they have coming up in the year. These customers tell Louise they love knowing they are organised and that having a stock of cards to use for unplanned events saves stress and last minute dashes to the shop. 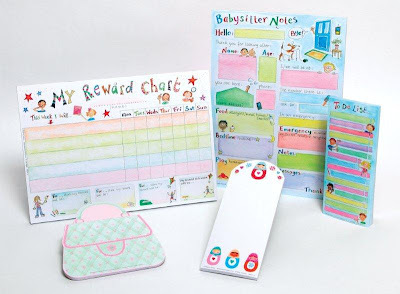 Like many of us, Louise loves anything which helps her to be more organised, and especially appreciates the Phoenix range of organisational stationary, like these reward charts, babysitter notes, memo pads, jotters and to do lists. 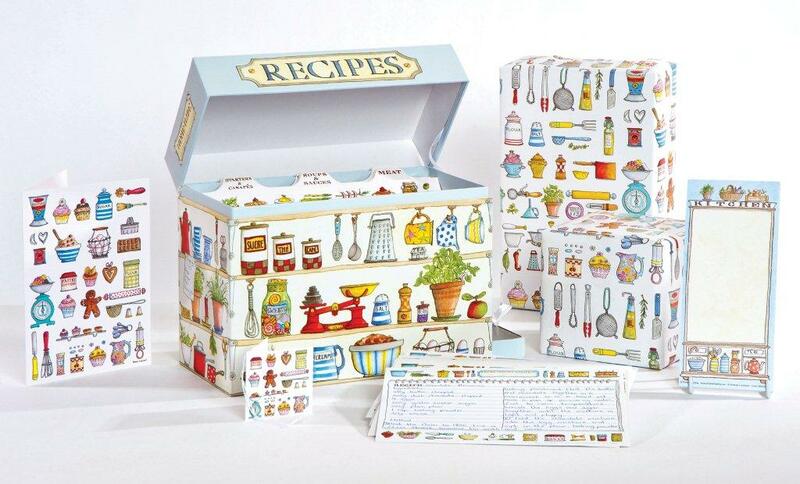 This recipe organiser is another one of Louise's favourite Phoenix products. Check out the Phoenix website to find out more about these products, as well as a huge range of greeting cards, invitations, writing sets, thank you's, gift boxes, advent calendars, decorations, gift wrap, organiser boxes, memento boxes, posters and so much more. Phoenix Trading was established in 1995 in the UK and has now sold over 100 million cards worldwide. It publishes a range of multi-purpose greeting cards and stationery and sells direct to the public. Its cards and envelopes are top quality but cost up to 50% less than the equivalent product in shops, plus they're delivered straight to your door. All envelopes are made from recycled paper and cards are produced without chlorine so they are fully recyclable. New products and designs are introduced regularly and Phoenix is always on the look-out for new artists (contact Louise for more information). The majority of cards are blank for your own message, so can be used for any occasion (Christmas cards are the exception). Phoenix Christmas cards are sold in support of Hospice NZ and during the year Phoenix also holds "Butterfly Teaparty" month where traders sell a special range of cards to raise funds for Hospice. Phoenix also offers to help with fundraising efforts at schools and clubs, etc (contact Louise for more information). (Open to New Zealand residents only.) The giveaway opens now and closes at 10am (NZ) on Monday 19 December 2011, when a winner will be drawn at random using random.org. Browse the Phoenix website and leave a comment below telling me which are your favourite items from the regular range and which are your favourite items from the Christmas range. For a second entry, tell others about this giveaway on Facebook or Twitter, and leave a separate comment below telling me you've done so. Please include an email address with your comments so I can contact you if you're one of the three lucky winners. Type it in code so the spam bots don't find it, eg. cravingfresh (at) yahoo (dot) com. Alternatively, if you'd like your email address to remain private, please email it to me at cravingfresh (at) yahoo (dot) com. (If for some reason you can't leave a comment here, tell me so over at Craving Fresh's Facebook page and make your comments there instead. thanks for the website link!! I bought the lavender writing paper from a lady at the west end markets in Brisbane ages ago and would love to buy more when I run out. There are so many gorgeous designs in their range....hard not to buy them all! I am a fan of Phoenix Trading - all the illustrations are beautiful. 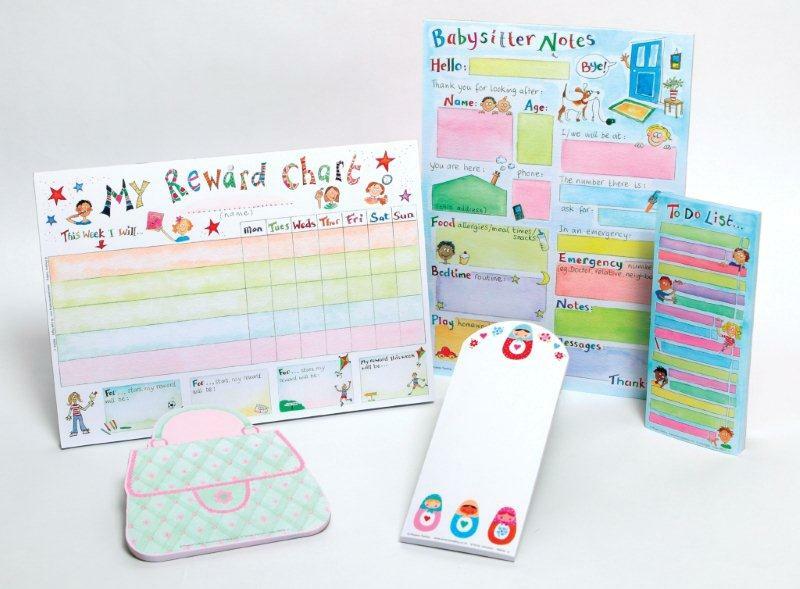 I especially love the Family Planners - such a great idea! Cool giveaway Emma. I first ran into Phoenix cards when I lived in the UK. I remember sending lots of advent calendars home to NZ! The Road to Bethlehem calendar is my favourite from the Christmas collection, and I like the wedding memento box from the regular range. I must get that box for a friend who is tying the knot next year. First time visitor to Phoenix, what wonderful cheerful colours. particularly like the postcards and lavender pots. First time I've seen the site - cute stuff, I like the organizer box and the note paper is sweet, anything that helps me be more organized is all good. thanks for your generosity. I had never heard of phoenix before. I love the Christmas gift boxes (perfect for fudgey gifts :-)) and the famuly organisers / reward charts etc. I absolutely love the strawberry gift wrap...it is absolutely gorgeous! Also the Recipe box is so cute and would be perfect for my recipes! My sister would love the presents cube. I really like the starwberry wrapping paper and the the christmas tahnk you cards are pretty cool as well! Hey Emma and Louise! What a cool idea to do a give away like this. I've never had a good look through the range, but definitely like the Christmas gift cubes and some of those gift wraps are pretty unique and exciting from the regular range (esp like the mermaid one for little girls)! I love the kids cards and planners and our Christmas Nativity advent calendar is now on its third year - love the fact there is no chocolate!! If only I had found this site earlier- I Love the advent calendars! (I looked all over to try and find an old fashioned advent calendar without chocolate and failed) I might have to buy some for next year! I have never heard of Phoenix Trading. Very cool stuff. I love the animals cards. Some hilarious ones there and the Christmas Advent calendars. So lovely.